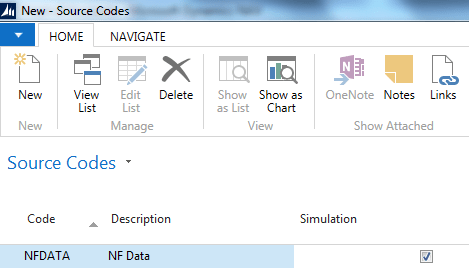 With Simulation functionality in Microsoft Dynamics NAV, you can capture and report non-financial data seamlessly. Organisations with the requirement to maintain records of statistical or non-financial data can do so in Microsoft Dynamics NAV (NAV) instead of maintaining it separately outside NAV. Keeping both financial and non-financial data in NAV allows you to see a complete picture of the business performance in a single view. It’s quick and easy to configure Simulation functionality in NAV, so you’ll be up and running before you know it. 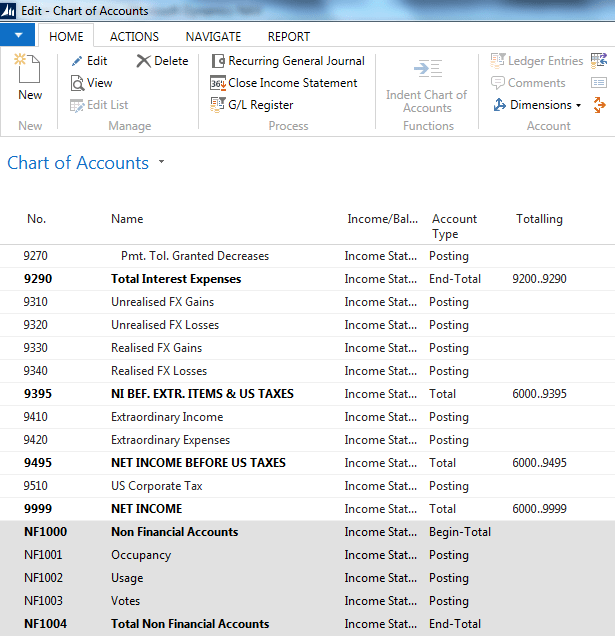 Create new G/L Accounts outside the range of financial Chart of Accounts. This method will separate the financial Chart of Accounts from non-financial Chart of Accounts for easy management, recording and reporting. Tick ‘Simulation’ field to activate the Simulation functionality associated with the Source Code. 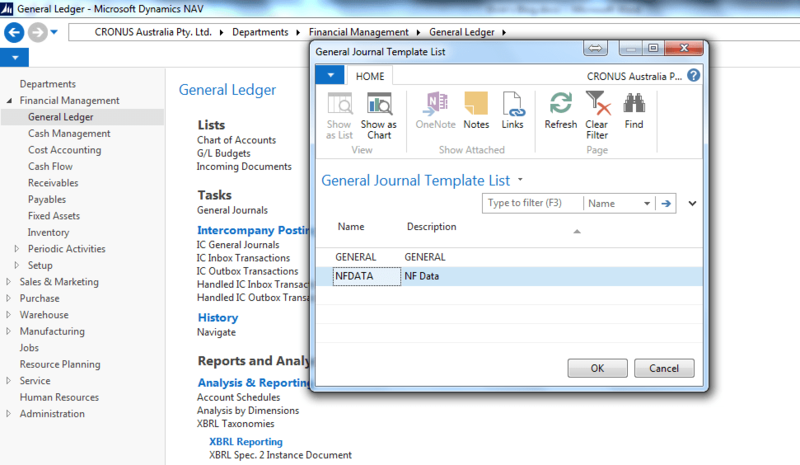 Create a new General Journal Template to facilitate Simulation or non-financial transaction entry. Ensure that the new Source Code created in Step 2 is filled on the Source Code field of the new General Journal Template. Use the newly created “NFData” General Journal Template to create the journal lines. Then post it to record the non-financial transaction. Please note that simulation entries can only be posted against the G/L Accounts. 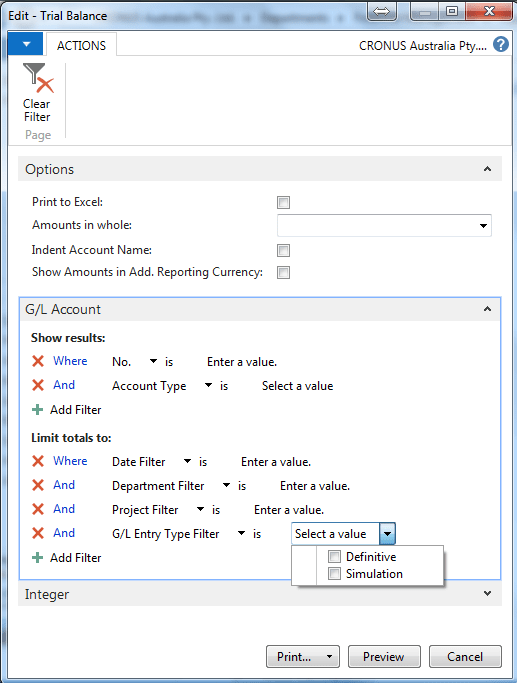 General Ledger Entries will be created with Entry Type “Simulation” and with Entry No. in negative. These tags differentiate the entries from financial entries which are tagged with Entry Type “Definite” and with Entry No. in positive. Another notable difference is that Simulation transaction will create Simulation Register instead of G/L Register that is created on posting of financial transactions. To report against financial and non-financial data, the “Entry Type” filter needs to be used on the report. If you have out-dated business software that’s limited in its reporting and analytical capabilities – then you should to talk to EBS about a powerful business management software solution – Microsoft Dynamics NAV. To find out more about Microsoft Dynamics NAV, please call Paul Woods at EBS for an obligation free discussion on 1300 303 973, email info@ebsys.com.au or visit www.ebsys.com.au. Evolution Business Systems (EBS) specialises in business management solutions that give you the freedom to focus on your business. Melbourne based EBS does this by automating your core business processes and integrating your specialist business applications to deliver the right financial management solution. With deep expertise in leading financial applications including Microsoft Dynamics NAV and Arrow Financials, EBS works beside clients to ensure their software solves problems rather than creating more. EBS has a detailed implementation strategy that is tailored to customers in terms of timelines, requirements, risks and responsibilities. While it does not sell or support hardware or site network environments, EBS informally partners with selected specialists in these areas to provide clients with a “total solution”. Subscribe here to get our free EBS monthly enewsletter to get the latest news from Microsoft Dynamics NAV.